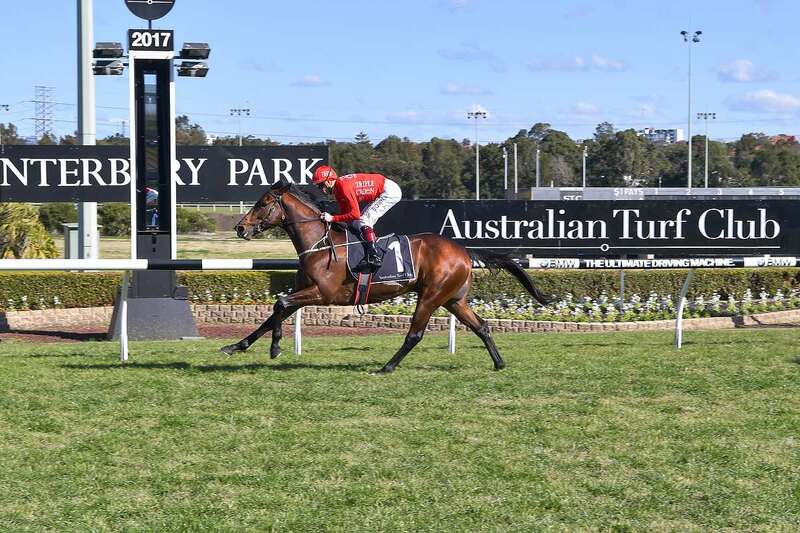 BRAVE SONG proved far too good for his opposition at Canterbury on Wednesday afternoon when he streaked clear in the 1200m 2YO Maiden Handicap to win by a commanding three lengths ahead of the Chris Waller-trained Sparky Lad. After an unfortunate debut at the track three weeks ago, where he finished a narrow second when taking a bump from the winner, Brave Song confirmed the form here in emphatic fashion, sending his large group of followers into raptures. The time of 1.10.28 was just 0.01 seconds outside of the Class record at Canterbury Park, which has stood since 2011. Hugh Bowman, who with the win went 1.5 clear in the race for the jockey’s title, settled Brave Song towards the rear of the seven-runner field, before rounding the turn four-wide and putting his rivals ruthlessly to the sword in the straight. The 2YO colt gave his freshman sire Your Song an 11th winner of the season, cementing his position as the leading First-Season Sire by winners. Co-trainer Peter Snowden was taken by the manner of victory, and suggested a bright future lies ahead for the colt: “He did everything right today,” he said. “He settled nicely back in the field and made a run around the outside on the turn. “Once he hit the straight and got himself balanced Hugh gave him a squeeze and he put them away pretty quickly. It was good to see him win as well as he did and in a nice time. Jockey Hugh Bowman was impressed with how Brave Song handled himself during the race: “What I liked the most is that the horse in front of me was going nowhere and I had to pull him out with him making his own way from about the 600m, which good horses need to do. ← Just 10% remains in this cracking colt by YOUR SONG!